I have been coming to Burn It in the Park sessions and Burn It Running Club regularly since May 2017. I love it and although its sometimes an effort and life gets in the way, it is something that is now is part of my life and routine and always make sure I come at least twice a week. 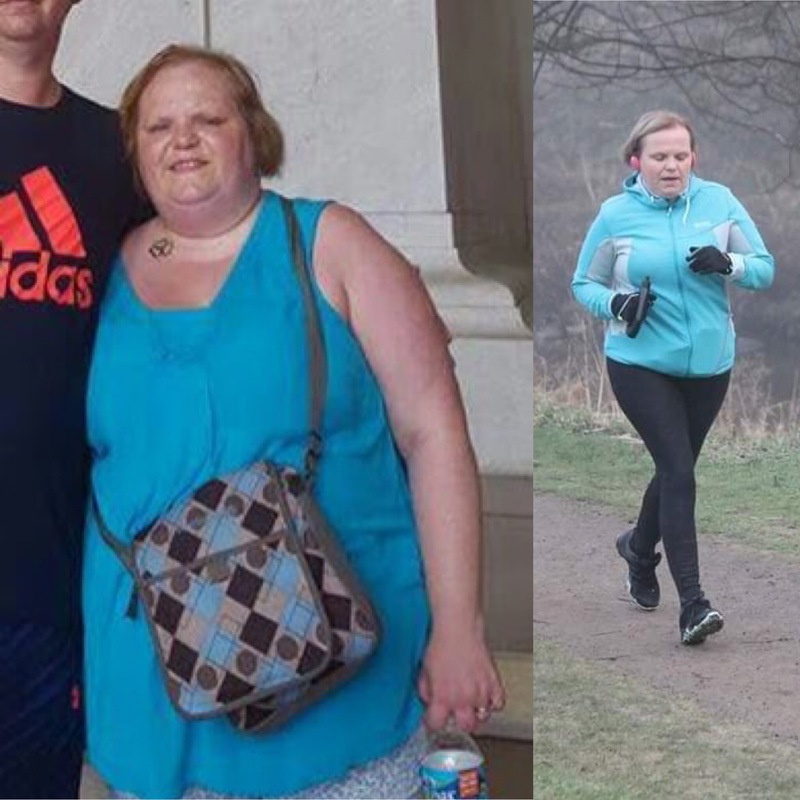 "I can quite honestly say that Burn It has changed my life for the better, I am fitter, healthier and happier than I have ever been in my adult life." I have been overweight since I had my oldest child 22 years ago. I have had some success at Weight Watchers and multiple other slimming clubs over the years but always put the weight back on. I have done loads of exercise such as Zumba, boogie bounce, done 10 & 5ks but never stuck to it. I would go through phases of being totally obsessive about dieting and exercise then phases of being a couch potato eating takeaways. In 2013/14 I went through breast cancer treatment and after treatment and a spell off work when I also stopped smoking, I was left at the biggest and unhealthiest I have ever been. To celebrate the end of my treatment we planned a holiday of a lifetime touring America and Canada. On the holiday in 2016 whilst it was amazing, it was the most uncomfortable I have ever been, I struggled walking round New York and Washington and there isn’t a photo of me without me trying to hide behind one of my kids. This was the first time ever I had to use a seatbelt extender on a plane. After my holiday I was so desperate I had a Gastric Band fitted. Yes I lost a couple of stone very quickly – well you do if you are only taking in liquid and mush for weeks, but I was still very unfit. Around this time Debi, my colleague and friend, tried to persuade me to come to a ‘boot camp’ she had being going to. I kept putting her off saying to myself I will lose some more weight before I go. Eventually I went along and really enjoyed the first couple of classes. Yes I was slow but thought I done ok. Then Burn It went on tour and the session as a one off was at Dechmont law, in torrential rain I went along, Debi never showed up and I hated it, I had tears in my eyes and wanted go home but Paul had my keys locked in his car so I was trapped. I felt I was holding everyone back, I realise now that actually nobody cares and everyone does their own thing. After Dechmont Law my confidence was knocked, but a couple of weeks later I came back and have been coming ever since at least twice a week and also attending running club. I have completed 2 body transformations, gradually bringing my body fat percentage down and am currently in the middle of the 2019 10 week body transformation+ programme. This has taught me about eating and drinking properly, meaning I have so much more energy and sleep better. I even got 50 of my colleagues doing corporate body transformation last year. It took months of me coming to sessions to really focus on what I was doing and not worrying about what people thought and how slow I was. I still hate burpees but the difference is I now do them– I used to try and get out of them and go to the toilet or tie my laces anything but burpees. Paul and the other instructors have been so supportive and encouraging. I have also met some amazing friends and inspirational people through Burn It. I can quite honestly say that Burn It has changed my life for the better, I am fitter, healthier and happier than I have ever been in my adult life.